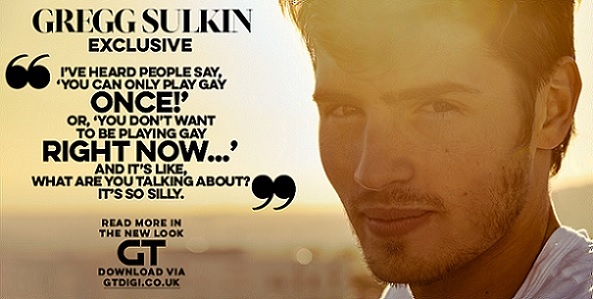 Handsome TV hunk Gregg Sulkin makes a splash covering the August issue of Gay Times Magazine. The British actor is best known for the TV shows "As the Bell Rings" and "Wizards of Waverly Place". More recently he played Liam Booker on MTV's "Faking It". Your hot-off-the-press GT also sees Ellen DeGeneres dishing about life, love and Finding Dory; WWE Hall of Famer Pat Patterson talks about coming out and his colourful career in the ring; LGBT+ sport stars marking the start of the Olympics with their stories of being out athletes.